All variations of black and white can evoke a formal aura in a space. From traditional monochrome schemes to achromatic, these hues are extremely austere. As a result, they can evoke a highly stylized modernistic aura in any space. 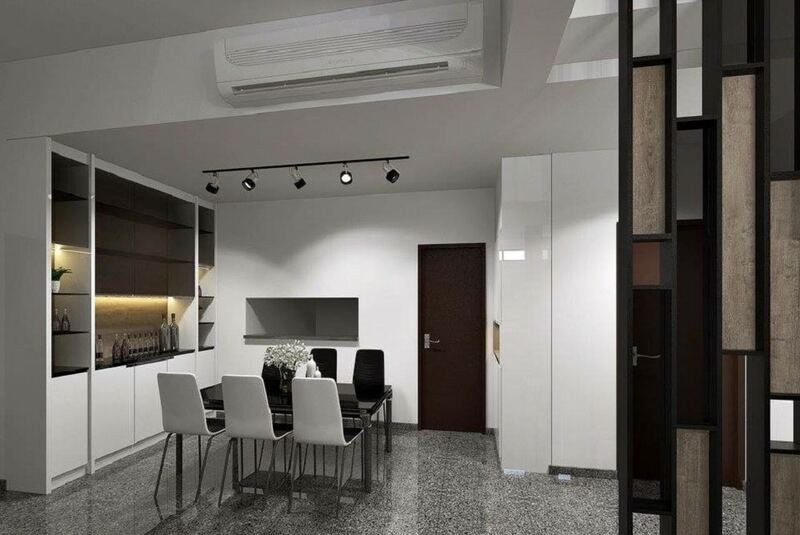 You should also note that there is a method for using black-and-white in your interior designs. You cannot be very helter-skelter about how you choose to alternate each hue. Instead, you have to think hard and methodically determine what surface you want to showcase in which hue. Below, we’ll take a look at how you can introduce a posh, black-tie vibe in your home interior designs. Material surfaces are your biggest asset when you’re trying to design a monochromatic interior design. However, just as important are the accessories. This includes all the things you want to put on display throughout your home. Imagine having a classy BnW interior scheme and using red or blue or green colored accessories to complement it – it simply won’t be done. 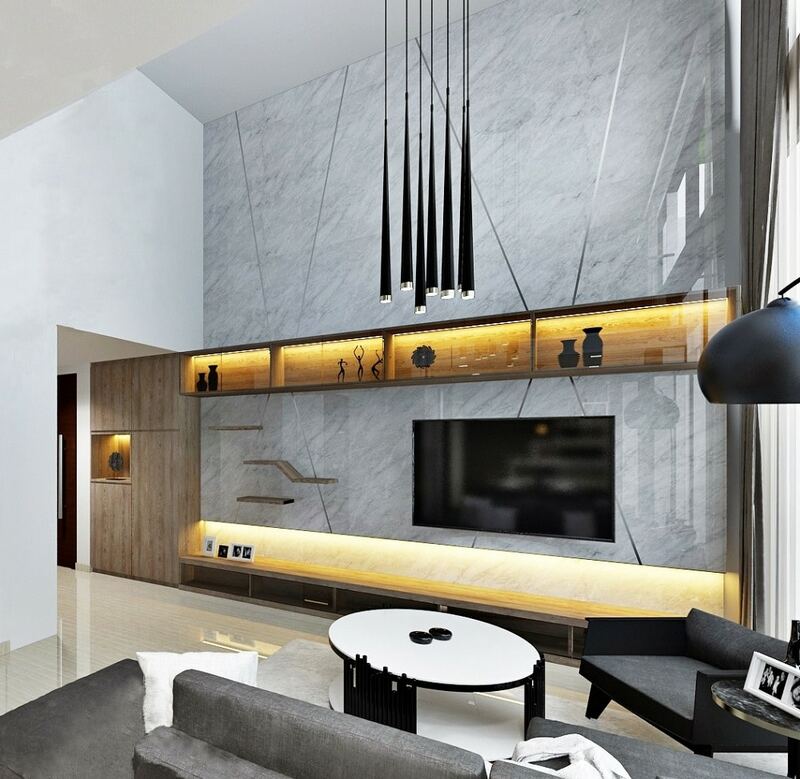 Instead, check out this amazing monochrome themed interior design by Made Artisan. With the help of some excellent backlighting, and exceptionally curated trinkets and show pieces, the designers have created a posh, upscale look for a rather simple interior design. Another tip for designing a perfectly posh black and white interior design is by investing in the right surface textures. If you take a look at this image, you’ll see how the textured floor complements the mostly white foreground. The dining table set with its stylish half-white and half-black setting are the perfect way to balance out the middle ground that makes up the centerfield of this interior space. One of the easiest ways to make your monochromatic interior designs visually dynamic and upscale is by using all three dimensions of the space to your advantage. The Made Artisan team has used cascading light fixtures to create a feeling of tallness within their space. 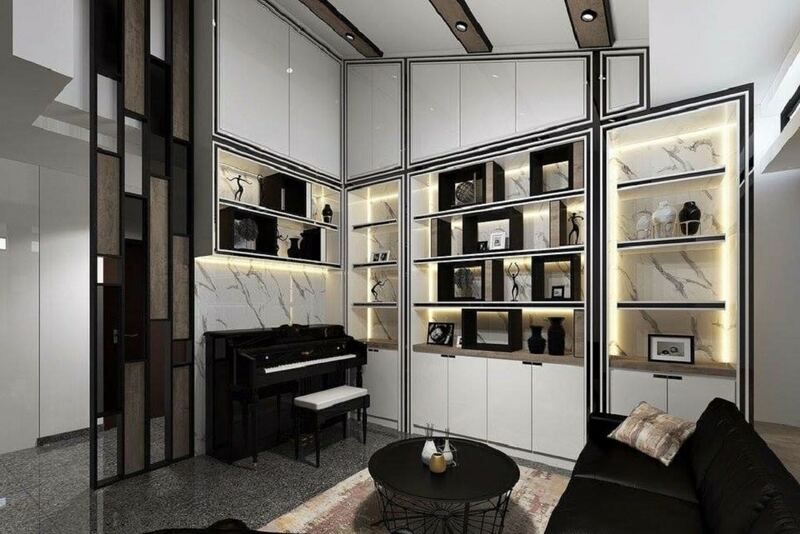 Coupled with the breezy use of whites and greys throughout the rest of the interior design, you can see how the three dimensions work in tandem to make this interior design look absolutely gorgeous and high end.